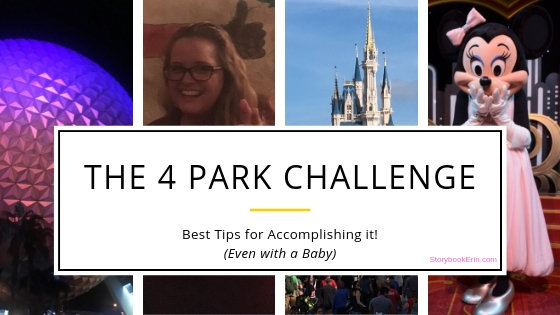 I first heard of the WDW 4 park challenge when I was watching some of my favorite vloggers (The Wayts World). 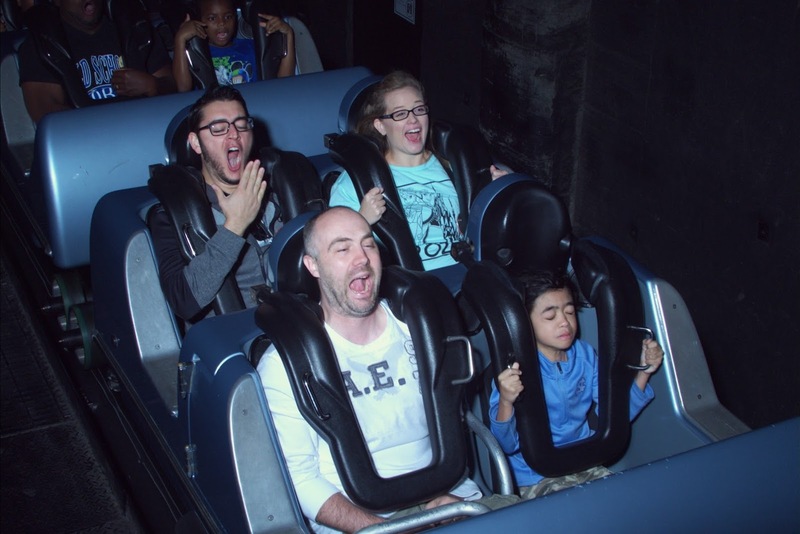 This awesome family had decided to conquer all four parks in 1 day and vlog the journey for all of us to see. As our annual passes were about to expire in December of 2016 my husband and I booked a quick 2 day trip to Walt Disney World. We’d just recently welcomed our third daughter and even though it probably wasn’t ideal for us to complete the challenge, I had too! My husband and I completed the 4 park challenge with our infant in December of 2016. We followed the same guidelines The Wayts World used. 1 Ride, 1 Snack, 1 Photo in each park. This challenge is exactly as the word says “a challenge”. My husband and I were fortunate enough to attempt this challenge during the few months that Walt Disney World was piloting the “Disney Express Transportation“. This meant, that my husband and I only had to go through security 1 time and that we were able to travel through back-stage Disney to get from park to park. This service was really affordable ($15 per person), and probably the best option for families wishing to park hop. Sadly, express transportation is no longer available, but it was worth every penny! We did complete the challenge, and it was literally one of the most memorable Disney experiences I’ve ever had. This is Florida. Our weather is quite unpredictable. In Summer the weather will be hot. You will want to be sure you have lathered up in Sunscreen, are properly hydrated and even have cool comfortable clothes for the day. You will also want to consider if there is any rain in the forecast. Fall and Winter the weather isn’t quite as hot as the summer months, but the weather can vary in extreme temperatures so you will want to be prepared with some layers. Spring is a beautiful time to visit the Disney Parks. The weather is usually warm but not quite hot and the mornings are a little cool. Not enough for the need of layers, but comfortable. For a more detailed and informative post about crowds and weather expectations by each month, check out my friend Keri’s post. When completing this challenge, you will be walking about 20 miles in one day. That’s a lot of walking! You will want to be sure to have a water bottle, snacks and your meals planned out for the day. Be familiar with the Disney Park hours before attempting the challenge and have a plan. If you are staying on property, be sure to use the Extra Magic Hours to your advantage. Many people like to start the day atAnimal Kingdom and then head towards Hollywood Studios from there. It doesn’t matter what order you attempt the challenge, but be mindful of park hours. It’s a good idea to consider starting at the park that opens the earliest and ending the day at the park that is open the latest. Typically the Magic Kingdom. You will want to have the My Disney Experience App downloaded on your phone. Park Hopper Ticket: $169.00 (Florida Residents $139.00) Ticket prices do change without notice. Be sure to check the Walt Disney World website for the most up to date prices. Money-Saving Hack: You can purchase Walt Disney World Gift cards from Target with your Red Card and save 5%. You can also purchase a discounted gift card with your wholesale membership to store like BJ’s and Costco. This is will only save a few dollars at a time, but every little bit helps when saving for a trip like this. Meals and Snacks: Each snack is roughly between $4.00 – $7.00, and a meal will cost between $10.00 -$15.00 at quick service locations. Since there were specific rides we wanted to ride in The Magic Kingdom (our last park) we scheduled them there. I know many people like to schedule theirs for the middle of the day. In all honesty, I think it’s important to pick a couple of rides or perhaps your favorite park and schedule those fast passes. Taryn and her family attempted the challenge in June of 2018. I loved how raw and honest Taryn is about the challenge. It is important to realize that there are many variables that come into effect when attempting the challenge. One must consider the weather, crowd levels, and your own personal health. Although Taryn didn’t complete the 4 park challenge how she anticipated, the Lau family did manage to visit all four parks. Read all about their experience here! Jill completed the challenge in March of 2019 with her husband and 3 year old son. She recommends comfortable walking shoes as she logged 12 miles on her fitbit! She also gave some tips for getting the most out of your fastpass. She scheduled each her fastpasses on the MyDisneyExperience app one at a time while she was in the park. It worked like a dream, you won’t believe how much they got done by 9:00 p.m.! Check out her post here! This husband and wife team accomplished the challenge, quite by accident. They simply wanted to make the most of their 1 day at Disney! Such a fun read. I love that they completed the 4 park challenge on their first ever day at Walt Disney World! First Trip Goals! Join my FREE Disney Planning Group! My friend Keri (www.flipflopweekend.com) and I have an awesome group of Disney fans and bloggers, we’d love for you to join us! We are two moms who love Disney and love talking about it. See you in the group! Comment below if you’ve done the 4 Park Challenge, or if you are planning to do it soon! As a Florida Native, I sometimes don’t realize how hot Florida weather temperatures are for some. Yes, us Floridians are hot (don’t misread that) but we’ve had a lot of practice keeping cool in the heat. Today, I’m going to share some of my favorite spots to cool off during a visit to Hollywood Studios. 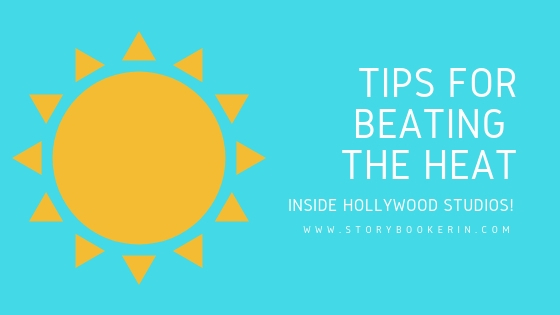 When going to Hollywood Studios when the weather is particularly warm you will want to have a plan. The warmest part of the day will be from about 1-4 p.m. This is the perfect time to check out some shows or even book a dining reservation. When we visited HWS in August, we spent the morning inside the new Toy Story Land and then for the afternoon we had a leisurely lunch in the nice cool air conditioning, did some indoor attractions and character experiences before heading back to Toy Story Land in the evening. Be sure to catch the Vlogs to see all the fun we had! The following is a list of indoor shows available! Do not skip this! This show is a little bit hidden towards the back of the park, just before the entrance to Star Wars Land (opening in 2019). The entire show is about 15-20 minutes and will have you giggling the whole way through. We also love this section of the park because there are several little areas to just sit quietly and avoid some of the crowds. This 30-minute show is absolutely hysterical. It combines your (kids) favorite songs from frozen with just enough humor to get even the non-frozen loving guest to laugh. This show is perfect for less-than-perfect weather days inside Hollywood Studios. The Little Mermaid, one of the most adored princesses of all. Follow the story with this semi-live-action show and be out of the weather elements for about 20 minutes. If you have an Ariel Fan, be sure to check out this post. Arguably my favorite ride on Disney Property, Rockin’ Roller Coaster is completely indoor. The line cue begins outdoors but is mostly inside, as is the coaster. Be sure to check height requirements (48 inches) or take advantage of rider switch. The line cue for Tower of Terror begins outdoors with several fans to keep you cool. There is a height requirement of 40 inches for this ride, so be sure to make arrangements for rider switch if traveling with smaller Mouseketeers. Located inside Toy Story Land, Midway Mania is the perfect family friendly ride to do while avoiding the warm weather. Star Tours is such a classic. It was the first of the Star Wars attractions to open inside Hollywood Studios, and with each refurbishment, it’s gotten better and better. The height requirement for Star Tours is 40 inches. 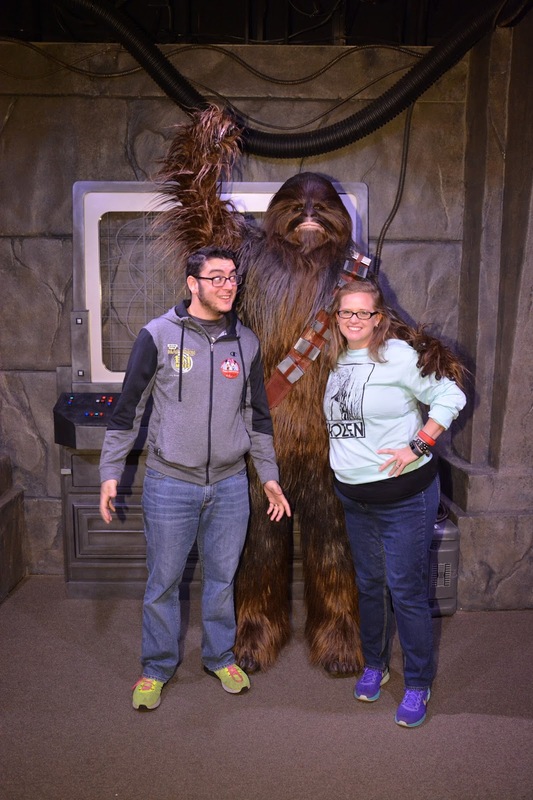 I guess it’s my background in education that is really shining through, but there are some really cool educational experiences inside Hollywood Studios. One of them will even get your name written in the Walt Disney World Archives! Are you intrigued? I’ll start with that one them. If you want to see some of the most unique Disney artifacts on the property, and see sneak peeks of upcoming attractions you will want to walk through the Walt Disney Presents. If you want to have your name in the Walt Disney World Archives, ask the cast member at the entrance for the trivia game. When we visited HWS in August I wanted to try my hand at the trivia. It was so much fun to do and only took about 10 minutes for me to complete. This experience is a must-do for all my Disney Nerds out there! Inside the Star Wars Launch Bay, you will have opportunities to see props from the movies and meet several of the characters. There is so much to do inside, you will be able to avoid a few hours of the warm weather and have learned so many cool things about Star Wars. If I had to pick my favorite place to eat inside Hollywood Studios, I’d say The Brown Derby that’s only because I got engaged there in March of 2008. The food is a little pricey, and if you are on the Disney Dining Plan it’s 2-table service credits. So, keep that in mind when booking the Brown Derby. Other great options are Mama Melrose or 50’s Primetime. My favorite quick service inside Hollywood Studios is Pizza Rizzo. I love it because it’s towards the back of the park and typically not as crowded as other quick service locations. Also, there is plenty of indoor seating. It’s the perfect way to avoid the harsh weather. Looking for more great weather tips? 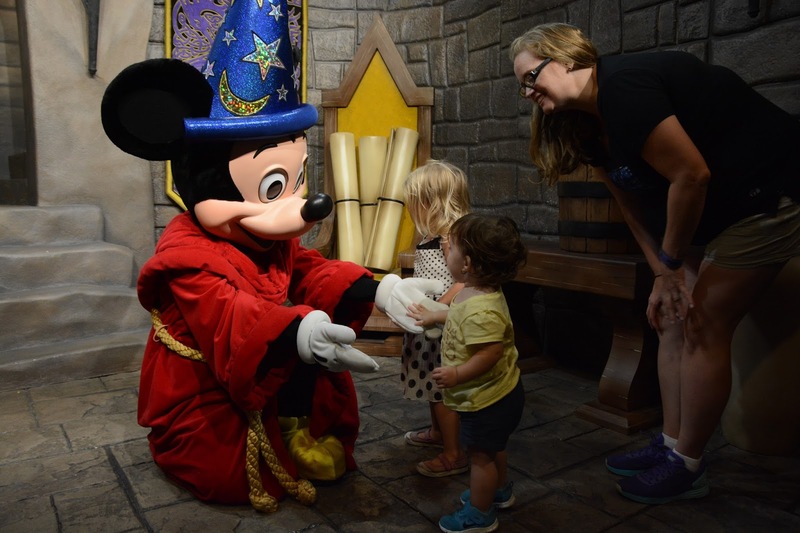 Check out my friend Keri’s post on what to do when it rains during your Disney vacation! Love Disney? Join my FREE Facebook Group! 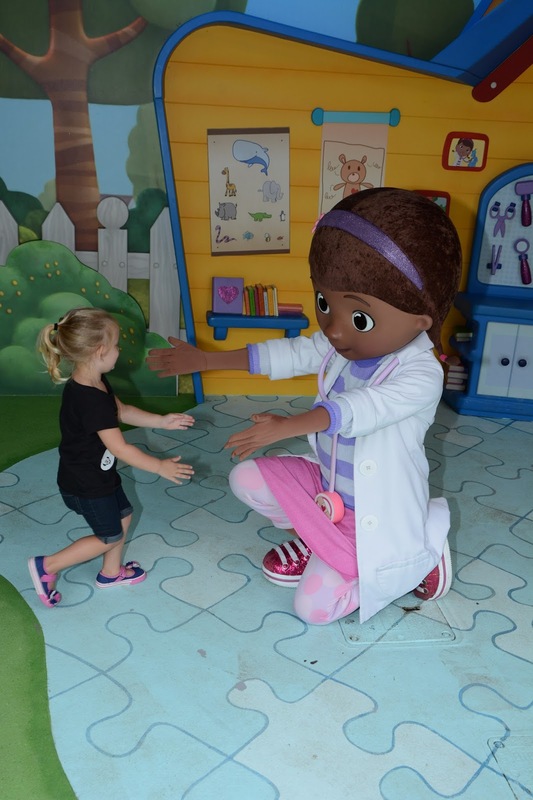 Should I take my Preschooler to Hollywood Studios? Hollywood Studios is currently going through some major changes and with the new Toy Story section scheduled to open in the summer of 2018 and the new Star Wars land opening in 2019 you might question if you should even take your young family to Hollywood Studios at all. Here are a few things to consider when planning your trip to Walt Disney World. Does someone in my party love all things Star Wars? 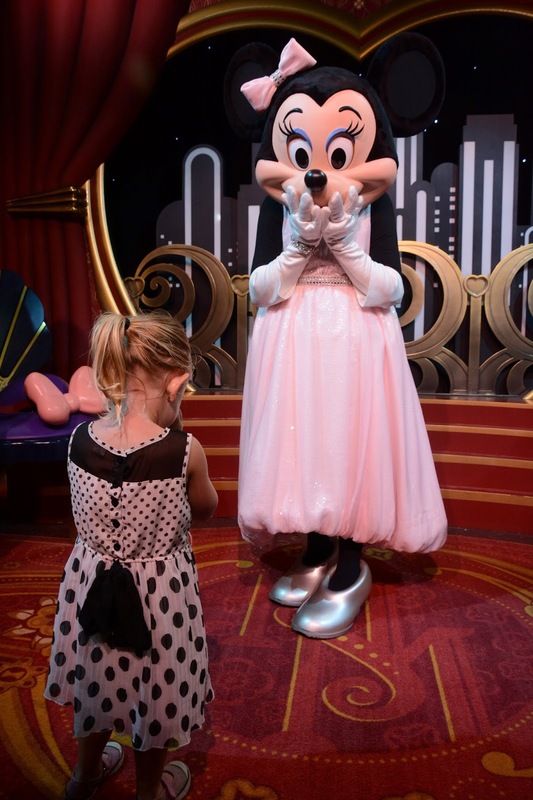 Do my children like to meet the characters? Do we enjoy watching live-action shows? Any thrill-seeking adults in the party? If you answered yes to most of the questions, you probably want to consider adding a day HWS and here is why. The Star Wars Launch Bay is a unique place in Hollywood Studios to see movie replica’s, meet star wars specific characters, and interact with Storm Troopers. At Hollywood Studios, there are lots of characters at Hollywood Studios both in secret, not published locations, and proper meet and greet locations. If there are thrill-seekers in your party, you won’t want to skip Hollywood Studios. HWS is home of my favorite roller coaster, (Rock’n Roller Coaster) and the fabulous Hollywood Tour Hotel’s Tower of Terror. Be sure to ask a cast member about rider swap for the thrill rides. Perhaps it is because Hollywood Studios is where my husband asked me to be his wife 10 years ago, but I love the theme park so much and feel it is worth considering when planning your trip to Disney. Shop for your Disney Trip! * Twice Upon a Year – Up to 75% off when you take an extra 25% off! Code: EXTRA25. Valid 1/26/18-1/28/18. Some Restrictions Apply.